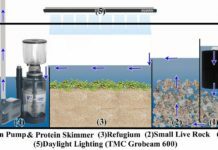 Once all the research, planning and waiting is complete and the aquarium is full of water and has finally finished cycling you will finally be ready to introduce your first fish. It is important to ensure that you make the right choice though as there are some fish which are suitable to be added at this stage, and there are fish that are not. 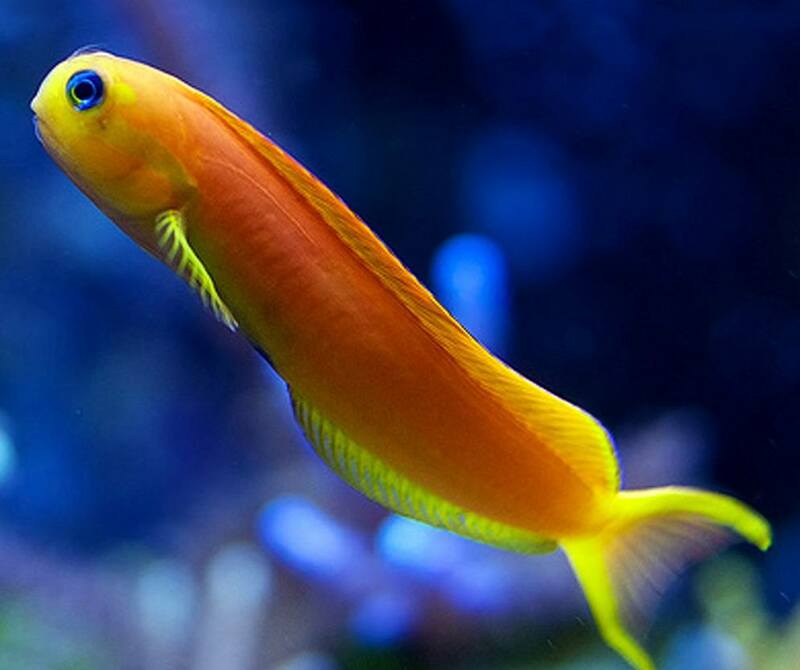 Firstly and foremost, the fish you choose must be relatively hardy. 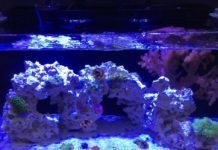 The reason for this is that the saltwater aquarium is new and the water will not be completely stable. 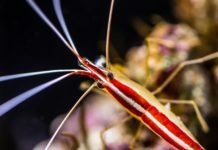 Another reason is that as aquarists, we all make mistakes at one time or another and with having a hardy fish they are more forgiving to these mistakes. The clownfish to me is a fantastic little fish. 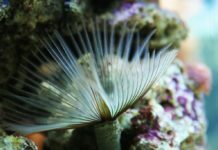 The way it swims, the way it lives in corals etc and especially the colours – a great addition to any aquarium. 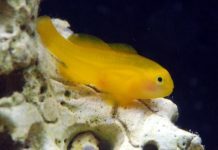 They are also one of the most popular starter fish. 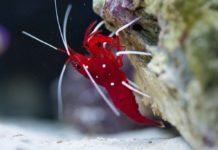 They are quite hardy and are very well suited to captive life in an aquarium. 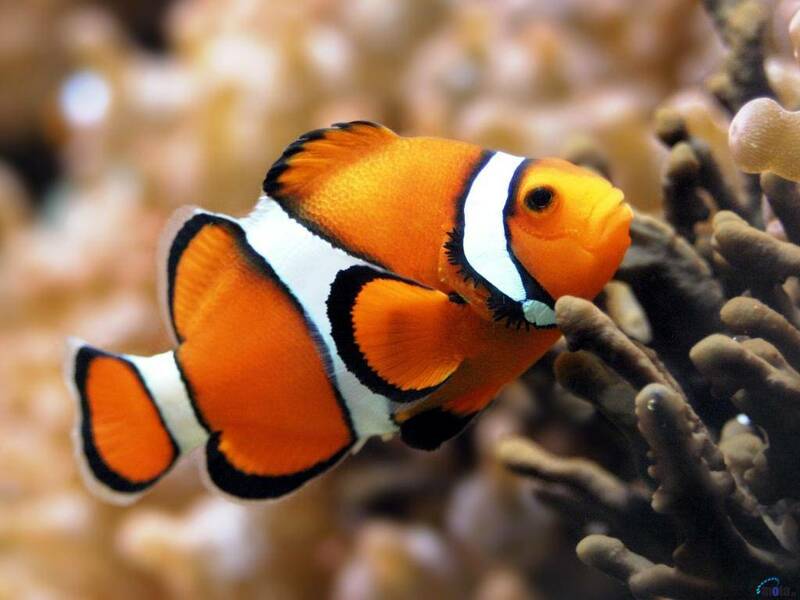 There is a mis-belief that clown fish must be kept with an anemone. This simply is not the case. 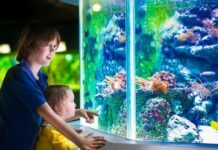 Clownfish will be more than happy in an aquarium without one. Anemones are quite hard to keep and at this stage of the aquariums life the aquarium is not yet ready for one, possibly neither are you. 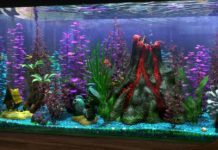 Once the fish has become adapted to life in your aquarium it will become quite bold and swim happily around the aquarium. 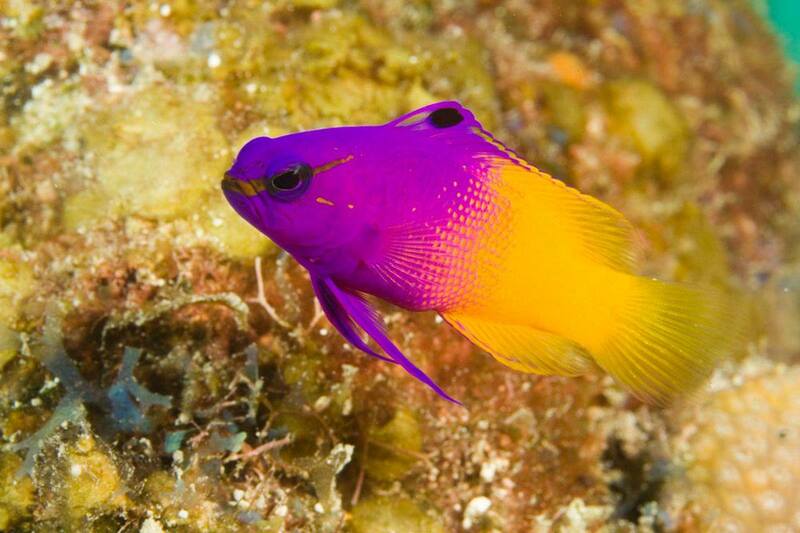 Royal grammas (Gramma Loreto) are a peaceful fish with the exception of their own kind and are very colourful fish with the colours changing from purple to yellow along the fish’s body. 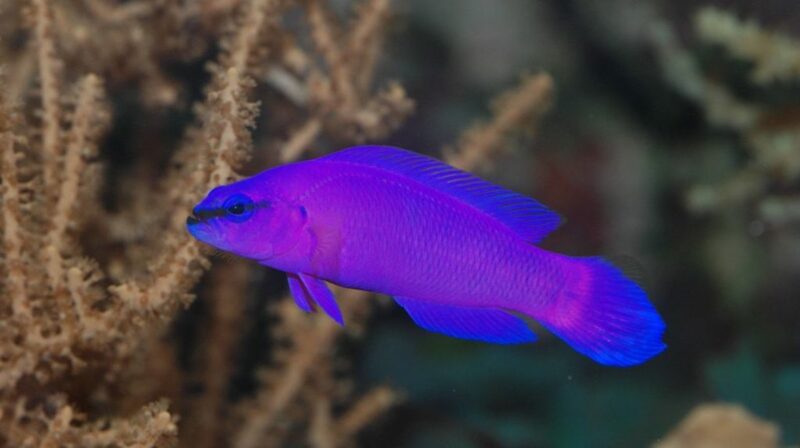 The normal firefish (Nemateleotris magnifica) and then purple firefish (Nemateleotris decora) are great starter fish to add to the aquarium. 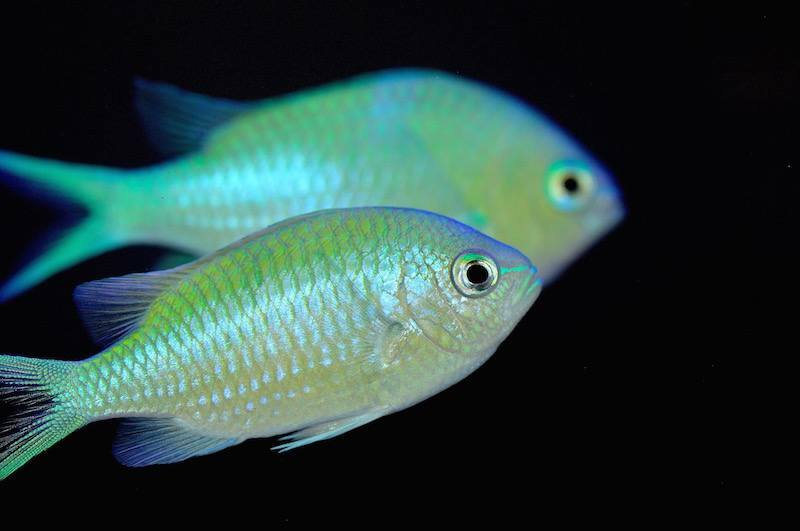 Both of these are very colourful fish which grow to a maximum size of about 4 inches. 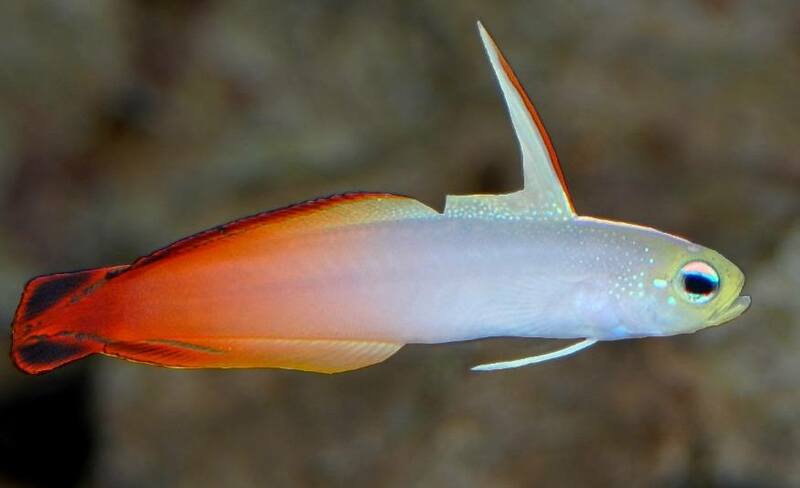 The firefish has a large dorsal fin which it uses to lock itself into a hole in the rocks which is normally down at the bottom. This hole is where the fish retires to when the lights go out but it also uses it when it becomes startled. These fish are prone to jumping when startled therefore you need to take care to prevent this. 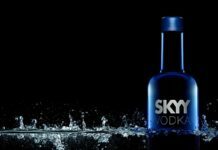 Unless you can locate an established pair I would recommend that these are kept singularly.